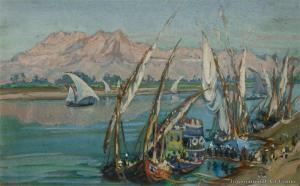 Find artworks, auction results, sale prices and pictures of Katherine Airini Vane at auctions worldwide. In 1914 she went to Malta as a nurse where she met husband Capt. The Hon. Ralph Vane, son of the 9th Baron Of Barnard. In the 1920s she travelled and painted in Tunisia, Canada, USA, Spain, Turkey, Greece, Italy, Monaco & Guatemala eventually having her work accepted at Royal Academy in 1929. 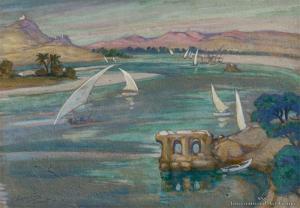 In the 1930s travelled to Malta, North Africa, South Africa. 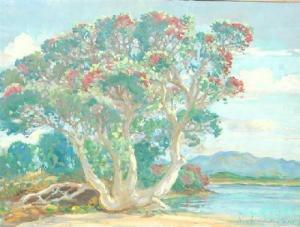 She returned to New Zealand in 1939 giving proceeds from sales of her work to the Red Cross & Navy League. 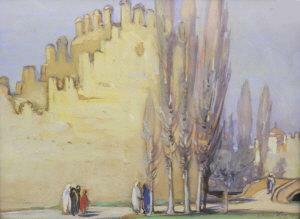 During the War she painted work in New Zealand and Fiji, holding exhibitions in both countries. She returned to Europe and North Africa in 1949 and stayed there for another three years until returning again to New Zealand and settling in Langs Beach in Northland. 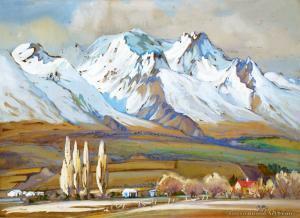 She was a regular Exhibiter at NZ Academy Of Fine Arts & Auckland Society Of Arts until the mid 1950s Most of her work was produced in gouache, although works have been found in both oil and watercolour. In 1957 K Airini Vane was critically injured in an accident that bought an abrupt end to painting and she spent her remaining years in special care. In 1965 she passed away in hospital after complications associated with her injuries. Her works can be found in both public and private collections worldwide. In 1914 she went to Malta as a nurse where she met husband Capt. Zealand and settling in Langs Beach in Northland. complications associated with her injuries.